Memory foam pillows are somewhat of a luxury, but they are worth the expense. Before you begin searching for the best rated memory foam pillows there are some things you will need to consider in order to make your search less complicated. These are a few of the considerations you should think about before buying the perfect pillow for you. Why should I consider buying a memory foam pillow? What are the reasons you are considering buying a memory foam pillow? Many people agree that the comfort and the quality rank above most, but there may be other reasons for your search for a good memory foam pillow. Many people who suffer from neck pain or headaches choose this option. The memory foam conforms to your own personal fit, which allows the level of comfort to be all about you. It is activated by body heat which means when you are done sleeping on it, it will go back to the original shape. Should I shop online or go to a store? Deciding where to shop is important. There are pros and cons to both, and it basically comes down to what you personally prefer. Remember this is something you will need to use daily. The choice is something only you can make, outside influences do not matter. Shopping online allows you to read reviews, get specifics from research, and avoid the pushy salespeople who work on commission. Now that memory foam pillows are more popular, they are stocked almost everywhere. The downfall to shopping at a store is that you may not be able to get the best price available on the product. Here's some great info about what memory foam actually feels like (in case you've never felt it before). What size pillow do you need? The size of your bed will help point you in the direction for what size memory foam pillow you will need. If you have a queen or smaller, a standard size will work. King size beds need king pillows, but in a pinch you could buy three instead of two to offset the size ratio. The position you sleep in can add to your ailments. It is important that you identify whether or not you are a back sleeper, side sleeper, or a stomach sleeper. While some memory foam pillows are not ideal for stomach sleepers, you may still be able to find one you would be comfortable with. Side sleepers will need a thicker pillow to support both the neck and the head. Back sleepers need to fully support their head. Knowing where you stand here will make the search easier on both you and anyone assisting you. Everyone has a preference when it comes to firmness where they sleep. If you prefer something softer than will conform to you, memory foam is definitely the way to go. 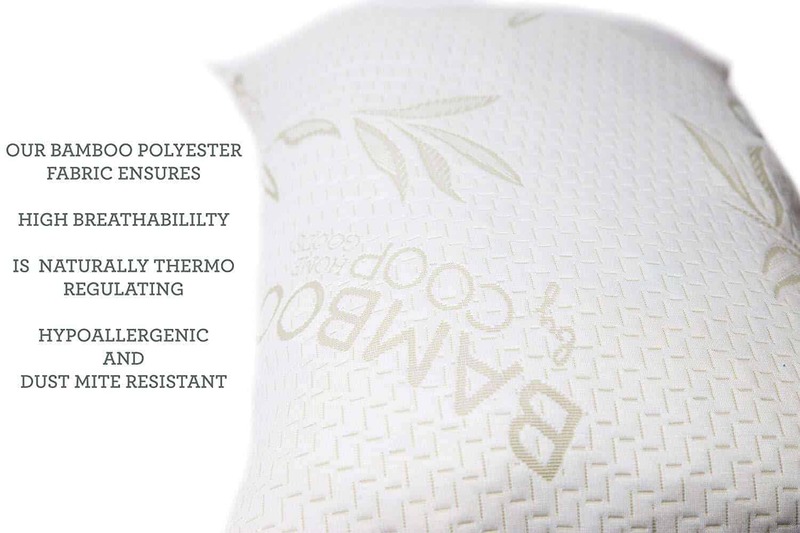 There are certain manufacturers that offer firmness options, and finding one of them may be beneficial if you want softer or firmer comfort for your pillow. Do I need to buy anything else along with the pillow? You may be curious about whether or not you will need a memory foam mattress or mattress topper. The simple answer is no. While adding those would bring you the maximum level of comfort, searching out a good memory foam pillow is the first step. You can always add the other products at a later time. You may want to consider buying a pillow protector, especially if you have children or animals in the home. Memory foam pillows are made well, but it is always been to err on the side of caution when spending money on something you normally wouldn't splurge on. You can find protectors both in store or online depending on your shopping preference. As long as you keep your priorities focused when searching for memory foam pillows, you will likely find one that fits your needs. Purchasing something like this should not be rushed and if your first search turns up empty-handed, don't be discouraged. You don't want to settle for something just because you found it first. These are some of the top memory foam pillows and information about each. There are always pros and cons to an item, so make sure you are willing to have things balance out when it comes right down to it. This memory foam pillow comes in queen size, which can be used for a queen bed or small. The fact that it has a bamboo cover is a huge bonus. 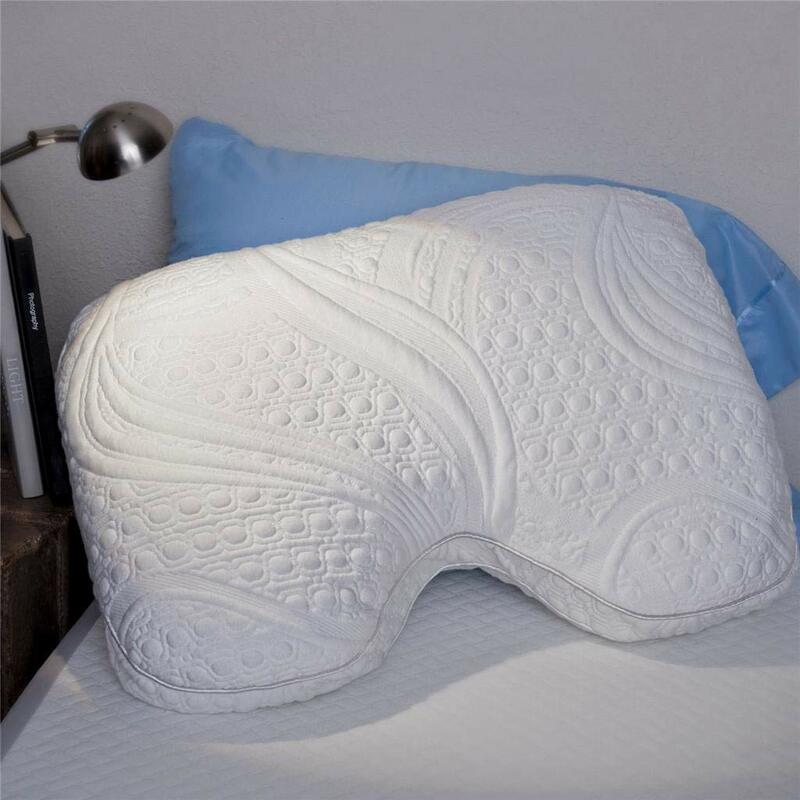 If you have medical issues that are requiring you to purchase a memory foam pillow, this may be one of the better options for you. Upon opening this purchase, you may get a bit of a plastic smell. It will fade over time, lasting just a few days at most. You may find that your standard size pillow case is too small for this, but you can still use it if it is a must. It is recommended that you purchase a pillow case to go along with it, but it isn't needed if your budget doesn't allow for it. It is light and easy to carry from point of delivery to your bedroom. It comes vacuum-sealed, so do not be alarmed when you notice the package is completely flat. If you are looking for something with a warranty this may be one of your better options. It comes with a 5-year guarantee, which is a great feature. It also comes with a mask and earplugs as a small token gift for purchasers. There is a wave-shape contour associated with this pillow. Some people will love it, while others aren't too crazy about it. This is something to consider before purchasing this particular item, especially if this will be your first memory foam pillow purchase. 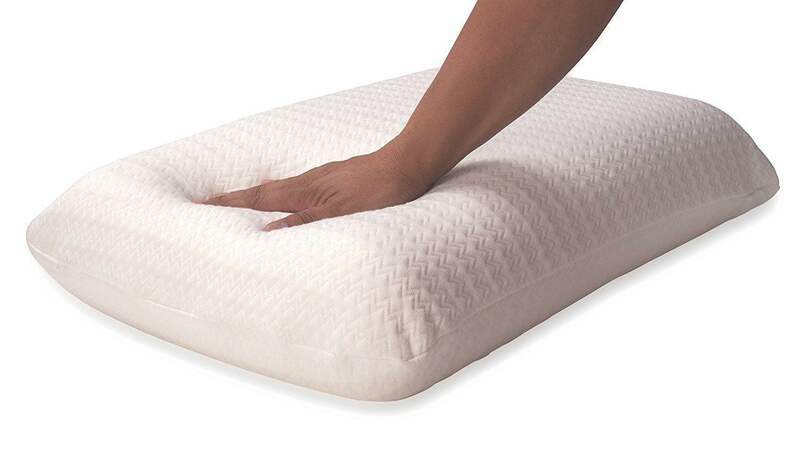 It offers a little more density than other memory foam pillows, and is thinner than others as well. It will fit in a standard pillowcase so there is no need to buy anything new. It is smaller than most standard pillows, which allows it to be easier to travel with. This is a great choice for someone who is a side sleeper, especially if you have a softer and more airy mattress. It is light and airy, but not overly squishy. There is a cut out for your neck worked into the pillow so your positioning will be just right most of the time. This is a huge bonus for people who have a hard time figuring out positioning for the maximum benefit. If you are experiencing neck pain, this may be one to put on your short list. It may take some time to alleviate your pain, but it is definitely possible. Talk to your doctor to see if you think this may be a good fit. As with most things that are packaged and shipped, there may be a small odor associated with the memory foam pillow. This should disappear in a few days, sometimes even within hours. This pillow comes with three removable inserts, which will help you to find the right position to lay in. You can remove them if they are bothersome, but generally they should remain inside the pillow. This is a basic pillow that will fit the need of someone who is truly on a budget. It is actually a two-pack, which is a huge bonus for the price. It will fit a standard pillowcase with no issues. These may be a little harder than you would expect from a memory foam pillow but once they are broken in, the comfort will go up tenfold. You will be able to conform them to your individual needs, which always makes for a better sleep experience. If you are a hot sleeper, it will help you regulate your temperature. Sweaters do not need to worry about staining up this memory foam pillow but if you are a little worried, you can find a cover either online or at the store. It is made from traditional memory foam, not shredded. This may make a difference when you are choosing the right pillow for your needs. This is one of the better options when it comes to memory foam pillows because it allows you to know the density. This particular one is three pounds, which is pretty standard. All of the dimensions are available for you to see prior to ordering. There are two versions, the high loft is the softer of the two. You will need to choose whether or not you want a little sinking action when you sleep or a firmer surface. If you are suffering from neck issues and are a side sleeper, this may be one you should consider. While it doesn't promise to cure it, it may help with the aching necks and lessen the pain when you wake up in the morning. This memory foam pillow is a little smaller than a standard pillow. It won't affect the case situation, but you may want to consider how much room you want your pillow to have once you lay your head down. If not having excess pillow around you as you sleep is an issue, you may want to reassess.